Have a question for Fern Boquete Inn? "The hotel was situated in a good location, close to the airport." "Room is clean and orderly." 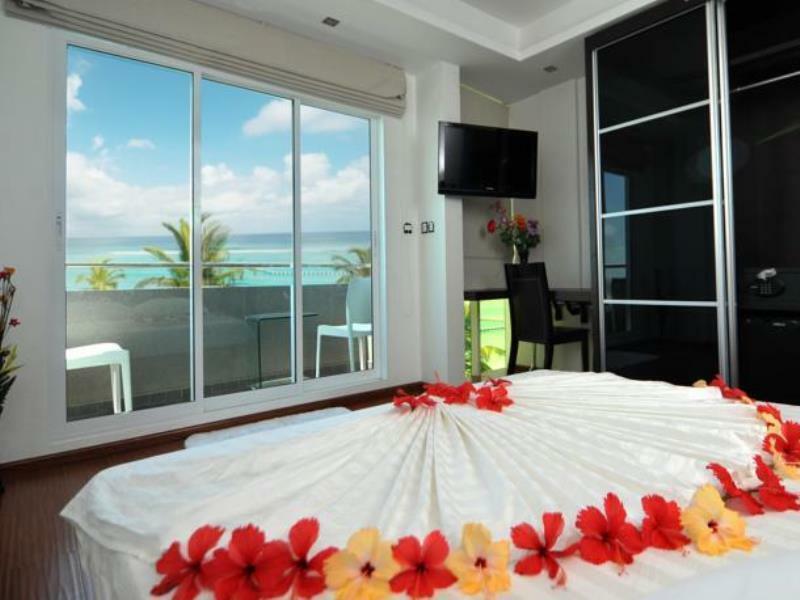 "Airport pick up was included in the hotel rate, they served..."
Well-positioned in Male International Airport, Fern Boquete Inn is the ideal point of departure for your excursions in Male City and Airport. The city center is merely 1.0 Km away and the airport can be reached within 15 minutes. With its convenient location, the hotel offers easy access to the city's must-see destinations. Offering hotel guests superior services and a broad range of amenities, Fern Boquete Inn is committed to ensuring that your stay is as comfortable as possible. The hotel offers access to a vast array of services, including 24-hour room service, free Wi-Fi in all rooms, facilities for disabled guests, Wi-Fi in public areas, car park. In addition, all guestrooms feature a variety of comforts. Many rooms even provide television LCD/plasma screen, mirror, smoke detector, internet access – wireless, internet access – wireless (complimentary) to please the most discerning guest. Besides, the hotel's host of recreational offerings ensures you have plenty to do during your stay. 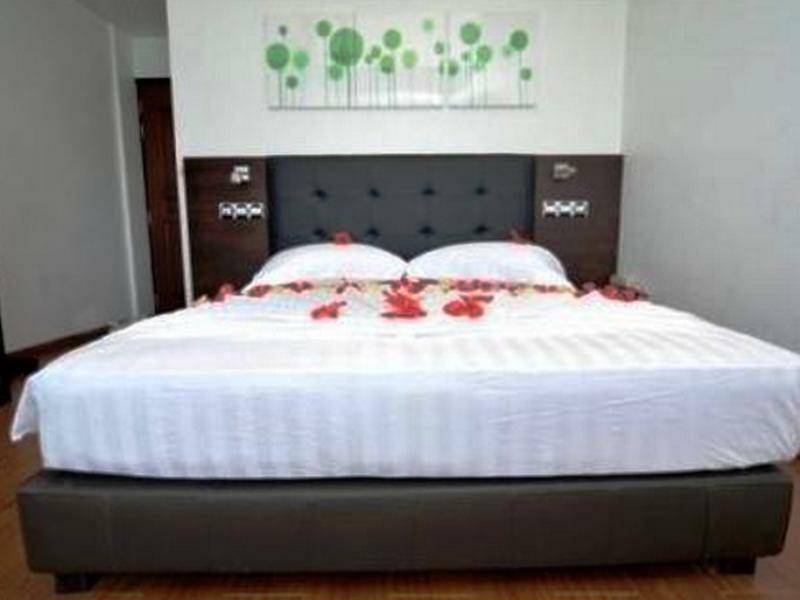 When you are looking for comfortable and convenient accommodations in Male City and Airport, make Fern Boquete Inn your home away from home. "This is a good hotel for transit before going to private isl..."
Local residents and work permit holders in the Maldives are subject to a bed tax refund directly from the property upon presentation of ID card or work permit card at check-in. To reach the hotels in Male and Hulhumale Island, transfer may be arranged for which a surcharge may be collected directly at the hotel. Your flight details and full names of your traveling party will be required at the time of booking or at least 3 days prior to your arrival. Upon receipt of your details the hotel will organize all transfer requirements. The hotel’s airport representative will meet you at the Arrival Hall. 1) Hotel Manager Sangeeth - we are so impressed and happy to have such a wonderful guy as out host. his help outside and inside of the hotel is great. we are thankful to him. 2) Staff are very nice too and attention was very good. 3) Reception services are good and response time is always top notch. 4) Room Services are Exceptional with very good cleaning and nice behavior from staff. 5) we willl highly rcommend this hotel for anyone who wish to have a nice stay for long as well. I went to checkin late at 15.30, and the front office staff checked me in and then told me that there was no water available in the bathroom. He promised that after half an hour, water would be available. Asked me if i wanted to come back or stay. As i was very tired after traveling, i decided to stay. At 16.30 while i was taking a nap, a staff came and knocked on my door. First i ignored but they kept knocking not acknowledging the fact that someone might be sleeping. When i opened he requested mento shift to a new room in first floor because no water will be available in the bathroom for the whole day. I was so disappointed i decided to leave. When i took a nap I realized the AC wasn’t working and it so hot. As Agoda mentions, there was no ironing facility available in the room, to which when I requested the staff asked me to wait an hour because irons are being used and occupied. The staff were extremely rude, did not respect any privacy and also the fact that they had a room available with water and decided to assign a room without water to a passenger, i consider that bad service. In addition to that, they did not respect me as a customer there. Deeply disappointed. They did not offer any compensation when i decided to check out and leave exactly two hours after checking in. Full payment was made. None of the staff apologised either after knowing how disappointed i was with the service they have provided. As we reached Male almost midnight, we have to stayover some where before taking the speedboat to the island..so we chose Fern as they are very near to the airport and is inclusive of free hotel transfer to and fro. We took the city view rm but was upgraded to seaview room. The breakfast variety was very good and delicious. Their coffee was mindblowing. The room was right infrnt of the beach with a beautiful view both at night and day. A great stayover for a night with our little one. Just need to bring your own toothbrush. Helpful staff, Clean and tidy room, Fresh and decent food. Great value for 1 night stay for the early water jet flight the next day. Transfer from the airport by the hotel is a must as we arrived at late night, road light were dim. Maldives is Maldives the beach outside this hotel is great. Not much dishes for breakfast but it was fresh and fine. There's no lift in the hotel, but the highest level is only 4 storey high. Breakfast can be improve. Portion of ala carte food is too small, even a small eater like me also thinks that the portion is too little. the best is we don't need to take boat, once you land you can simply take 15 mins shuttle bus to hotel, the driver is very very nice and i feel the warm welcome from this very special country, an unforgettable trip! although this is a very small hotel, but the staff and the dirver of shuttle are super nice, hope to visit maldives again! the breakfast is really simple but with the price of the hotel, we are already very satisfied. We arrived to Male at 8:00pm. We could not find the hotel staff to pick up and transfer us to the hotel. Finally we asked the airport staff for help. The airport staff suggested us to wait because the hotel representative was transferring other guests to hotel. After 20mins the hotel van came to the airport. However, we need to wait for another 20mins because they were going to search for other guests. After 40mins waiting we all got on the van and were transferred to the hotel. But. It just took 10mins to there. We booked city view room. The room was new and clean. Free airport transfer, free wifi and free 2 bottles of drinking water. Just for 1 night stay in a budget hotel, what else should I demand for? We were informed by the island resort that our seaplane check in schedule was 7:00am next morning. So we believed we should miss the breakfast. In the next morning the driver was waiting for us at 6:30am and 2 other staffs were preparing breakfast for us to take away, how thoughtful! The driver drove us to the seaplane check in counter, took care everything for us until we got on to another mini bus! I would recommend this hotel if you will arrive Male at night and looking for a short stay. I spent only a night at this hotel and received such a great service. My flight arrived very very late at night (around 2 a.m.) but hotel representative was already there to greet me upon arrival. Only a short drive to hotel from the airport and I found everything was as advertised. The only drawback was there is no lift. However a bellboy was always there to help us with all the luggages. In fact, I would have to say that all hotel staffs were very nice in serving us to our most convenient. We stayed in Fern Boquete for just one night. The hotel is newly refurbished. Design of the hotel room is modern, nice and comforting. They have a lovely skydeck at the roof top. Great view of the sea from there. Hotel staff is very friendly always with smiling face. Overall, they stay was great and no doubt for recommendation. Good enough for just a stop over a night. Great service from the staffs! Upon arrival at the airport, the hotel rep is already there waiting for me and my 3 friends to arrive. The rep took us to the bus that was waiting and we headed to the hotel right away which is about 15 mins from airport. The staffs were great and the check in was easy. We had the rooms in 2nd floor, and it was facing the sea. Perfect! The staff even arranged for our departure from the hotel back to the airport where we get transferred to our resort at Fun Island. We just stayed over a night so we can be transferred to the island the next day. After much reading on the negative reviews on the hotels in Male, I chanced upon this hotel in agoda and found the rate reasonable. I am glad that I have chosen to stay there for a night before our seaplane transfer. We were greeted by the friendly manager at the airport. Althought we had to wait 15mins for airport taxi, we had a good chat with the manager who shared with us a lot of helpful information. The little hotel is only 1 month old and is situated at the new estate on another island which is connected by a causeway from the island where the airport is. The ride from the airport to the hotel took 10mins. Welcome drink and towel were served while they checked us in. Staff were friendly,accommodating and eager to please. We were shown to our little small room with tiny balcony facing the sea. There is free WIFI and the bed is comfortable. The hotel is just steps from the beach and is only 1 month old, so everything is brand new. LCD TV with enough channels to entertain us for the short night. Bathroom is clean with proper toiletries and hot water rainshower. Breakfast is simple and can be served either at their ground level restaurant or the bar at the rooftop. 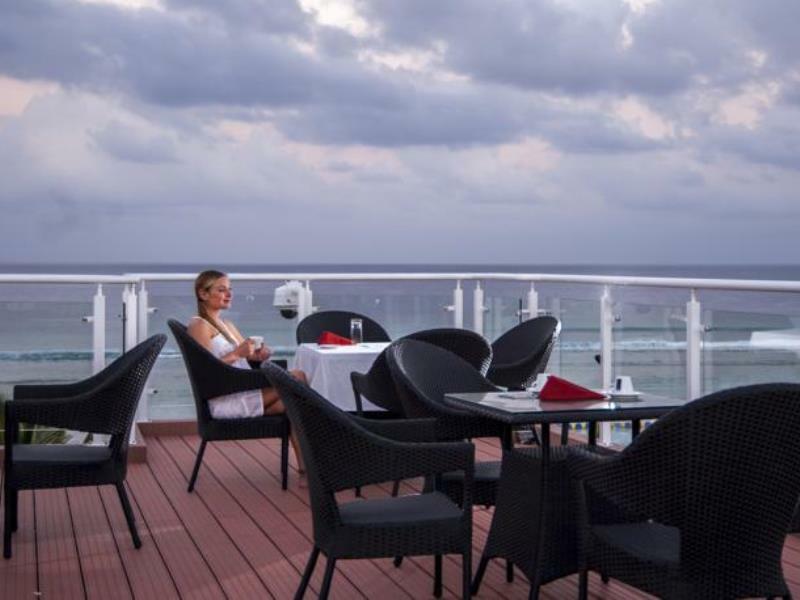 We chose to have it at the rooftop as it offers breathtaking view of the coast. Lovely! No hot water, very noisy, tv did not work, half of that lifgts work. Room did not look anything like website and no rooftop restay. The opened restaurant staff was very nice and helpful Front desk staff was not. This hotel was ideal for one night prior to heading off to islands.fast pick up.Food good.bank around the corner which worked.they will take mvr or us$ at hotel.airport banks don't work.carry some $ small bills as back up.but use mvr afterall that is the countries currency.local taxi to ferry next day 40 mvr.5mins.ferry 6mvr to male.safe hotel.sure there is building work around but this hotel is seafront and is ideal transit stopover. First, we had to wait for hotel to pick us up at the airport one hour (after several calls to ask them to do so), we also inform hotel when we book via agoda and also via email directly to them. Second, upon check in, we informed the front desk that we will leave at 8AM in next morning and expected that we can have a breakfast around 7:30. Then everything we have just ONE BOIL EGG (with a small bread). Totally supprised. Really bad experienced with this hotel. We would not recommend it, even just one nite before you leaving to the resort. Staff was super !! Breakfast was very well done. Local food ! Yummy From reviews I read prior I can see why ones say it is good for one or two night before going over to resort island ! There's isn't anything bad to say about the place. If you are expecting 5 star well then you will be upset. Airport pickup was on time and driver very helpful. Staff were very accommodating to my requests and they took care to show me a good time. Food was excellent and service prompt .The hotel allowed me to stay until 06.00pm as my flight was early evening and I was taken to the airport at time that suited me. Could not have asked for anything more. Would recommend this Inn to my friends as an excellent place to stay and relax.